It’s no secret that opening a restaurant is dicey, and to be fair, starting any business assumes at least a minimal level of risk. But there is something about the restaurant biz that makes it difficult for ‘restaurentreprenuers’ to be successful. In fact, studies suggest 60 percent of restaurants fail in their first year of business and within five years that number jumps to 80 percent. There are many factors that contribute to the jeopardy of restaurant ownership such as internal and external theft, poor management, and the perils of food safety and customer service that can send a promising casual dining establishment straight into the murky depths of page seven on Yelp (ever-loved by users but the kiss of death for businesses who find themselves on the wrong end of a bad review). An all-compassing security plan implemented by a security company that is a member of the Electronic Security Association (ESA) can work for your business in more ways than ever before! 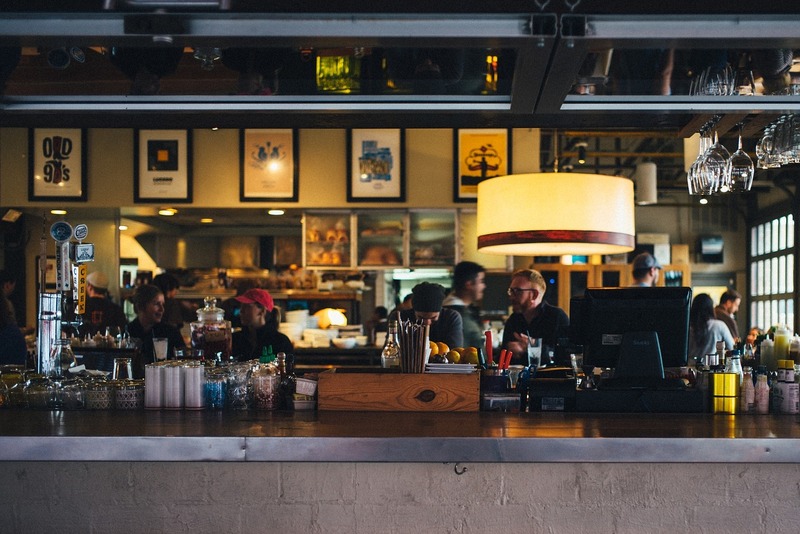 To get the low-down on what is actually happening in and around your restaurant; video surveillance is the way to go. Because the business operation format of a hospitality establishment allows for legal loitering (groups waiting for tables to become available, large staff without breakrooms or designated zones, etc. ), indoor/outdoor night vision capable video surveillance will allow you to monitor everything in and around your business. An ESA Member company can find the right solutions and expertly install your security system to leverage the layout of your establishment as well as hot spots such as cash registers, entrances and exits, food storage, and alcohol cages. But you know this already. You know that video surveillance lets you see who is getting into the cash drawer during a credit card transaction and who spray painted the cleverly designed graffiti art on the back door. You already know that advertising your alarm system with a sign or window sticker is a deterrent, as are the giant padlocks on the outside storage building. But there is so much more video surveillance and security technology can do for you, your employees, and your property’s safety. Being 3rd on Forbes.com’s list of 10 riskiest businesses to start, protecting your assets and business through leveraging security should be high on your priority list. This combined with the top software to manage a restaurant make for a successful and secure business. Video surveillance is more than just recordings stored in the cloud; it can be a valuable tool in improving customer satisfaction and provide insights into customer behavior. For example, video surveillance analytics can show common paths of travel used by customers which can, in turn, tell you where to strategically place dessert displays or ‘specials’ signs for optimal visual exposure. If 65 percent of your patrons walk left after entering your doors rather than right, the left side of your waiting room is a more viable location for grabbing attention and upselling before they ever even sit down to eat. Security video analytics can monitor peak volume hours, food delivery times, and employee/customer behavior. A New York restaurant received an online complaint about an alleged increase in wait time for food to be delivered. Thanks to a comprehensive security system and a VHS discovered in their old discarded legacy VHS surveillance system, the restaurant was able to determine that wait time did indeed increase compared to previous years but it was customer use of smartphones that was the root of the issue. Searching for WiFi and perusing the web added significant time for patrons to be ready to order; this combined with taking pictures of and with the food once it arrived led to the perception that the restaurant was losing their touch. Customers felt the restaurant was offering poor customer service and the restaurant was turning fewer tables which meant less revenue. Video surveillance analytics and insight led to the discovery of this trend in dining and allowed the business to act on it. Access management to your food and liquor storage areas is a must. Alcohol is expensive and can be resold (for less than a liquor store would sell it, that’s just economics 101). You can require each employee to have a unique identifier to enter the premise that can pinpoint who you are going to interrogate first when a keg comes up missing. Make payroll processing easier with a fingertip access reader that can provide an accurate time stamp for reporting hours, no need to worry about false time entries and rounding up or down to the quarter hour. Security companies are even offering access management that includes sensors to improve food safety through temperature regulation, climate notifications, and even monitor deliveries. If the 4 inch thick door to the walk-in wine refrigerator is open too long, sensors can ping you through the remote access management app on your smart phone in addition to an auditory notification on premise. This method of inventory protection can save the six cases of New Zealand Sauvignon Blanc from the travesty of becoming nothing more than white cooking wine. Protecting your customers through safe food practices is a win-win. Walk-in refrigerators can be linked to your remote access security system app to update you the second temperature dips into a range that is dangerous to perishable inventory. Security technology can ensure you don’t serve poultry that has entered the temperature ‘danger zone’ (40°F-140°F) and risk bacteria-caused illness. A security system is vital for any hospitality business and technology is constantly creating new ways to use electronic security devices in daily business operations. Before you throw in the towel on your dream of making the best tofu burger in town, let an ESA Member Company install a security system that works for you, literally. Find a trusted security company by visiting www.Alarm.org today.